Los Cabos. 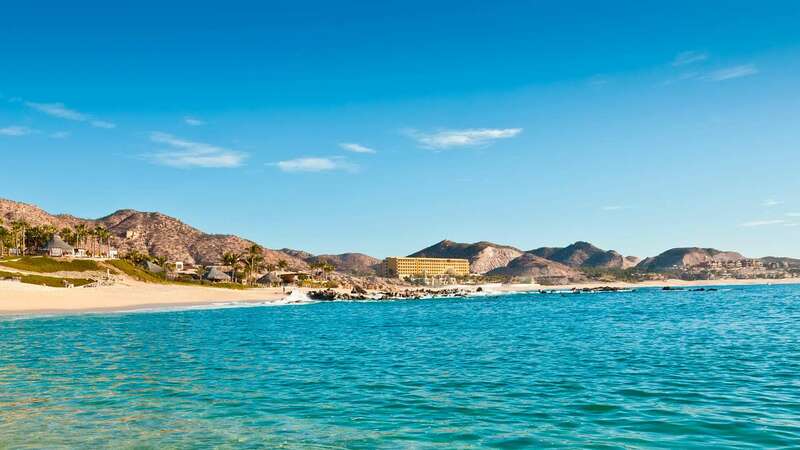 It’s a popular Mexican vacation destination, but many people don’t know that Los Cabos actually encompasses two different towns: San Jose del Cabo and Cabo San Lucas. Flights coming into the Cabo San Lucas International Airport bring visitors who are excited for vacations in both destinations, which offer distinct entertainment, opportunities for relaxation, and a unique vibe that sets them apart. Learning the difference between San Jose del Cabo and Cabo San Lucas might help you determine which place is right for your next Mexico vacation. San Jose del Cabo is the political seat of Los Cabos. Even though it’s smaller than Cabo San Lucas, it’s growth has spread outside the city center leaving the downtown’s charm intact. With quaint cobblestone streets, jacaranda trees, and a church dating back to the 1700s, a walk through this historical town will take you back to old Mexico as you shop through galleries and markets. 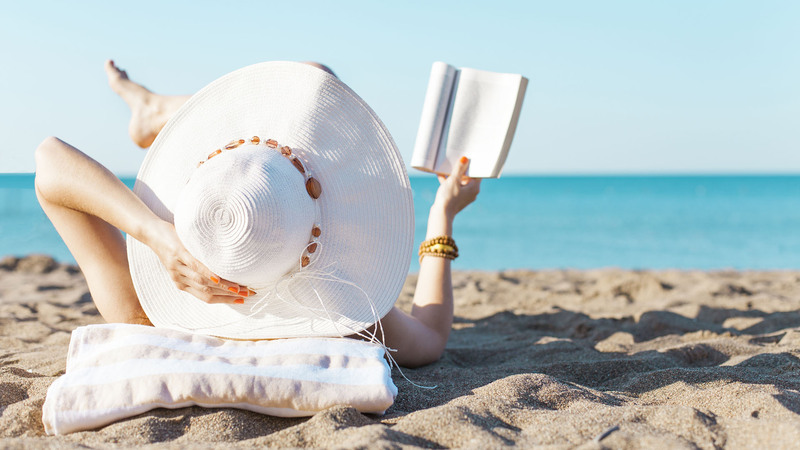 Along the shore are several large tourist resorts that cater to your needs, but you’ll need to take a cab to town if you like to get away from resort life for a few hours or the day. While there aren’t a slew of Cabo tours or activities in San Jose del Cabo to keep you busy, the ocean views and sandy beaches still draw plenty of tourists each year. 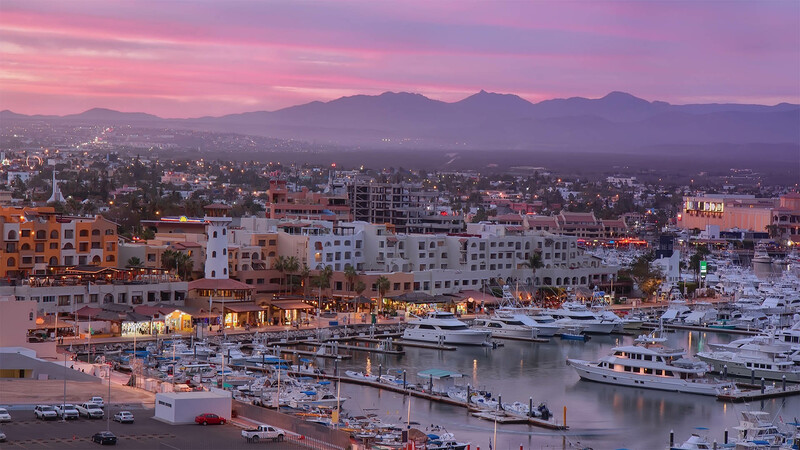 While San Jose del Cabo receives its share of accolades by those who love the small town vibe, Cabo San Lucas is by far the favorite among tourists heading to Los Cabos. As the larger city, Cabo San Lucas offers all that of its sister town and more. 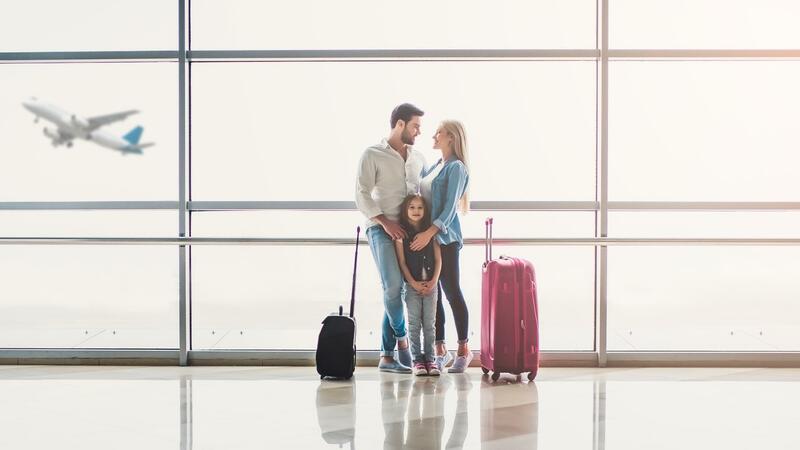 With the Cabo San Lucas International Airport located on the north side of the city, the destination in Mexico is easy to access, making it great for shorter trips when you want as much vacation time under the sun as possible. 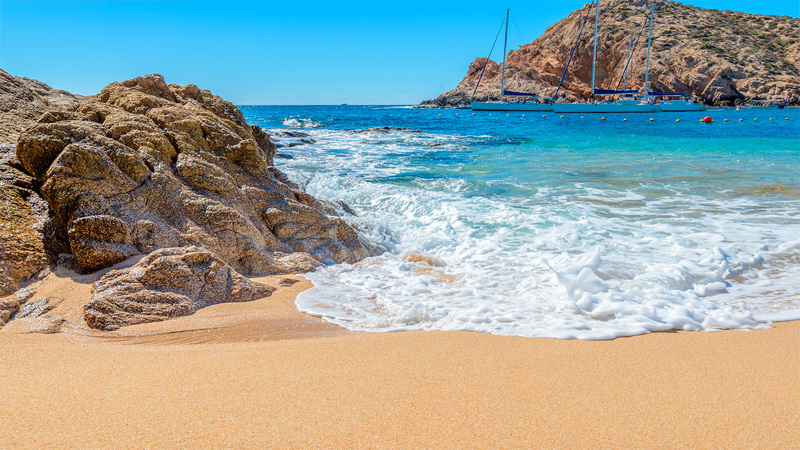 Similar to San Jose del Cabo, the beaches in Cabo San Lucas are stunning, with some even providing awe-inspiring views of Land’s End and the Arco rock formation. From some of the top Cabo resorts, panoramic views of the crystal blue water extending out to the horizon are plentiful. Unlike San Jose del Cabo however, in this top destination in Mexico, you’ll be able to enjoy a variety of water sports from kayaking and paddleboarding to parasailing and snorkeling along the beaches. 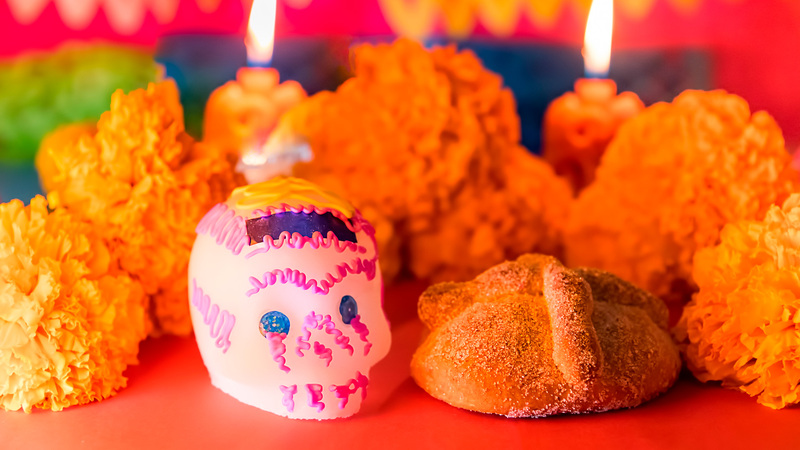 You can even spend a day relaxing on the beach or by the pools of the top Cabo resorts before venturing outside the hotel for dinner or the best nightlife Mexico has to offer. 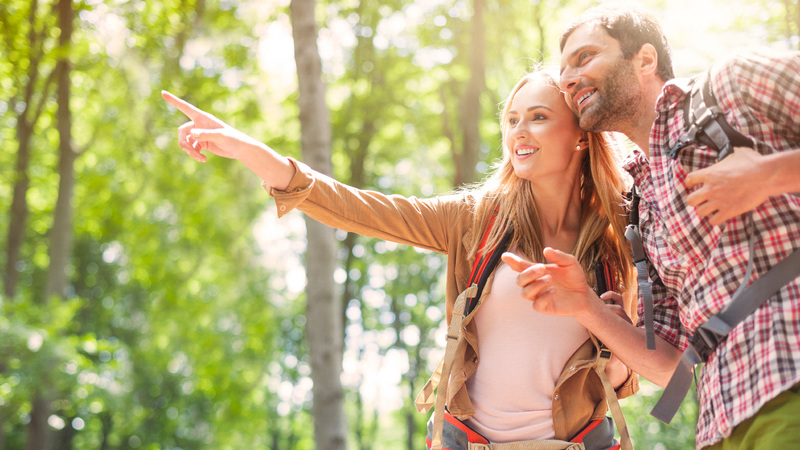 From some resorts, downtown is within walking distance, making it easy to get back and forth as much as you’d like. 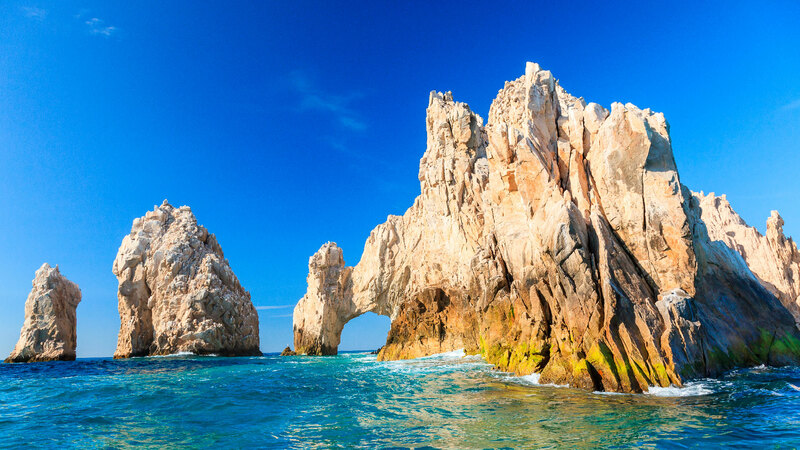 For taking your Mexico vacation beyond the resort, Cabo San Lucas has easier and quicker access to Cabo tours. 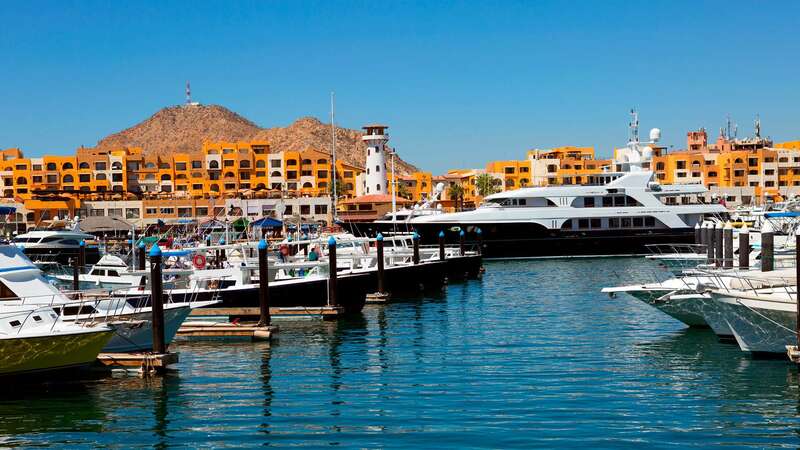 Things to do in Cabo San Lucas include riding a camel through the Mexican desert or taking a glass-bottom boat ride to see schools of tropical fish. 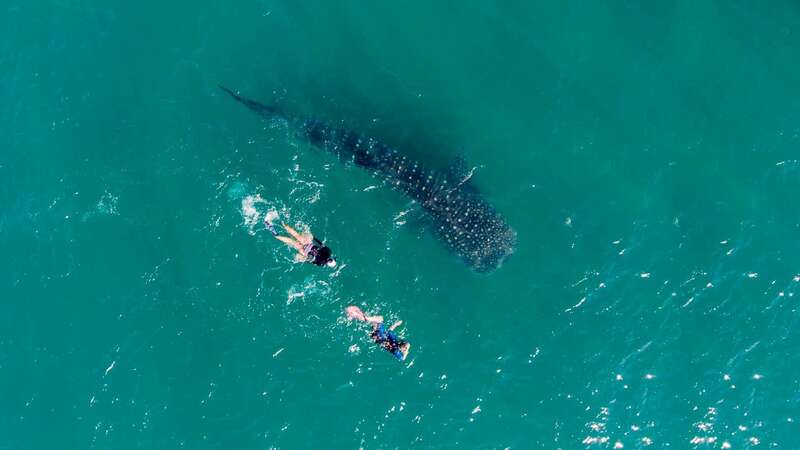 You can swim with dolphins or whale sharks if you’re looking for a rush of adrenaline or you can access more of the natural beauty of Los Cabos by hiking up to Mount Solmar or by hitting the jungle for a zipline adventure. 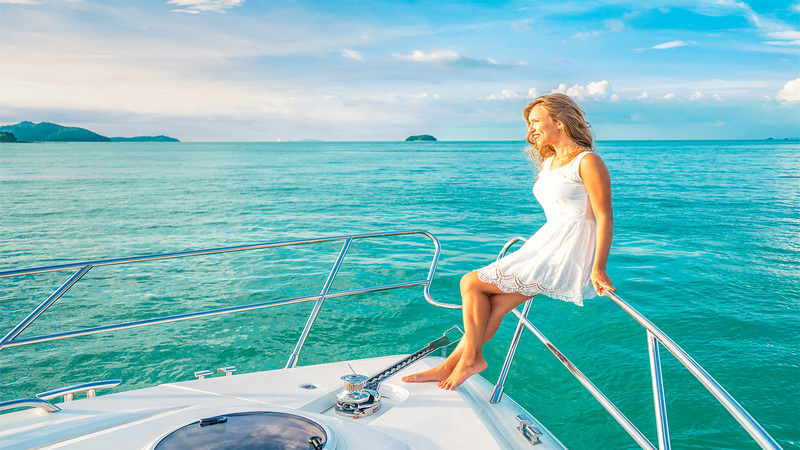 With all the things to do in Cabo San Lucas, you’ll be able to fill your days with time around the city, in the jungles, on the water, at the hotel, or even with a day trip to see San Jose del Cabo or one of the other magical towns in the area. 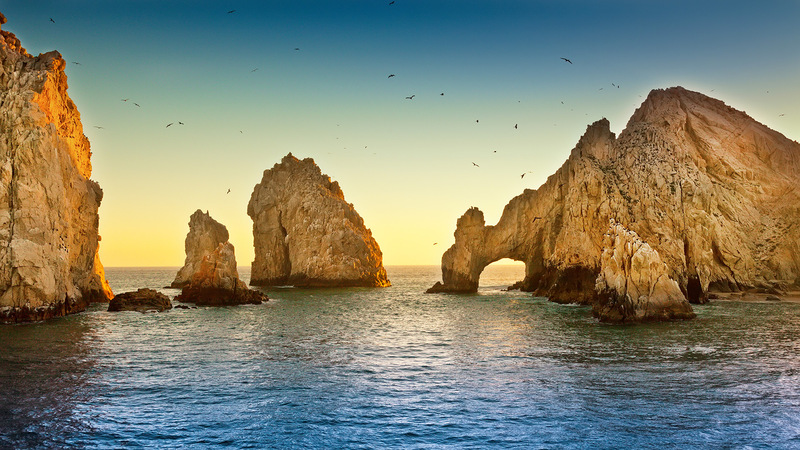 With such a vast array of Cabo tours available, Cabo San Lucas offers the best of a true vacation, while still maintaining the charm of old Mexico, which can be felt throughout downtown and the outskirts of the city. Markets selling traditional pottery and souvenirs blend beautifully with luxury shopping centers selling modern brands. 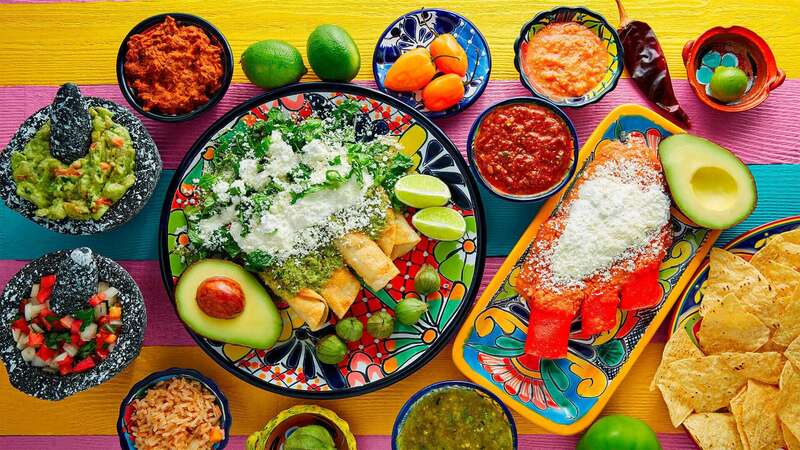 Between the boutique shops of downtown are Cabo San Lucas restaurants, serving up fresh seafood and sizzling fajitas along with frozen margaritas and ice cold beer, and a number of nightclubs that keep the party going into the early morning hours. 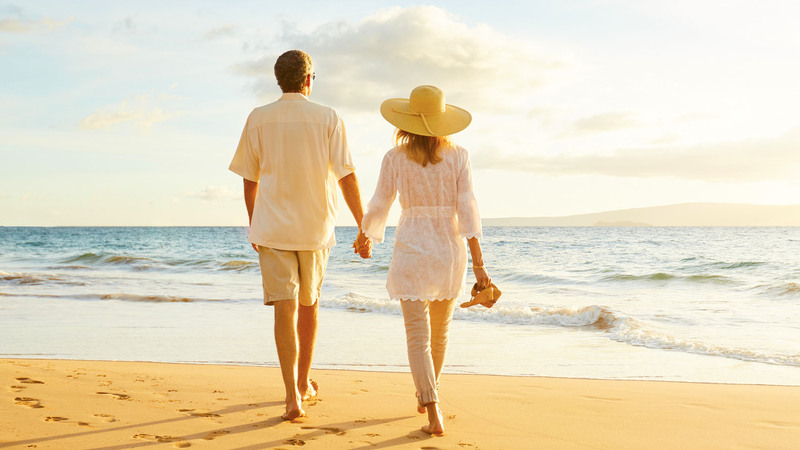 While both cities are spectacular destinations for a Mexico vacation, the greater variety of things to do in Cabo San Lucas guarantees guests a vacation filled with exciting and diverse adventures. 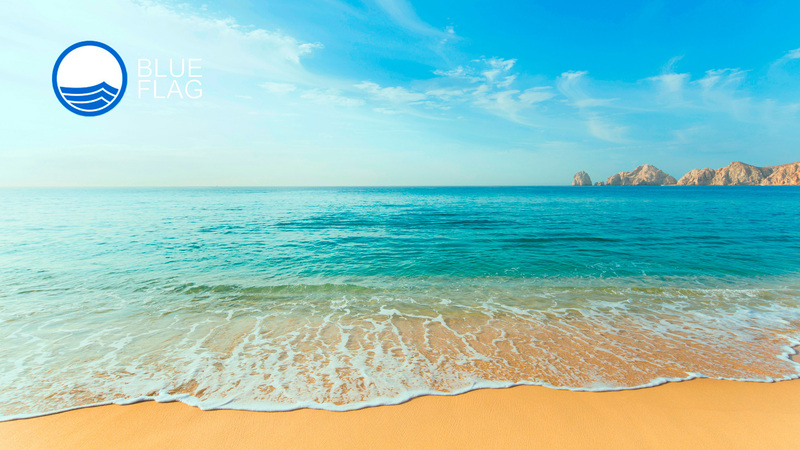 As you head back to the Cabo San Lucas International Airport at the end of your trip, you’ll be leaving with memories of all the unique experiences and adventures you had on your vacation to one of the top destinations in Mexico.